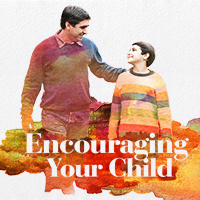 Most everyone would say they love their child, but how are you at encouraging them? I’m talking about building them up in a real way that gives them confidence and assurance. I have to confess that I fail at this all too often as life gets in the way. As parents, we all want to best for our children. But what specifically should we talk with God about in regards to our kid's lives? Here are 5 prayers to pray for your child. Teams are a collection of individuals who bring different ideas, personalities, and needs together to play a sport they love. Your team may be one that has some strong personalities, some obvious leaders, and some players bursting with creativity. How do you get an eclectic mix of players to unify for one purpose? It's not always easy for parents of teenagers to connect deeply with their children. Here are 5 ways you can connect with them through their love of sports.